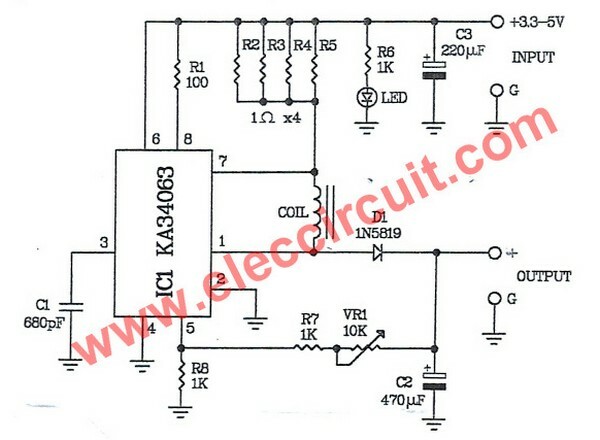 Circuit schematic like in Figure 1 above is Circuit Schematic DC Boost Converter 3.3-5V to 12V-13.8V using -KA34063 IC. According Eleccircuit site describe that this is DC boost converter circuit that can use 3.3V to 5V power supply source into DC 12V-13.8V output max current 100mA. It is switching circuit better than old circuit. My son bought LED light Bulb a few days ago. As Figure 1. It is cheap and supper bright. It is used for 12V power supply only. But he does not know its power consumption. Thus, he want to measure the it’s current. Read more here.